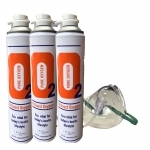 The Oxygen Store stock a wide variety of Kroeber Oxygen concentrator spares and replacement parts for Kroeber Oxygen Concentrators. If you cant find the part you are looking for please call us on 0345 100 0084. We are also able to quote for services to Kroeber Concentrators and offer a repair facility for non working and faulty oxygen concentrators. Please contact us on 0345 100 0084 for details or a quote.